Grow Home was developed by Ubisoft Reflections and is a good example of taking a simple premise and growing it (no pun intended.) A mix of Chibi Robo and a procedural platformer, it’s a short but sweet experience. You play as B.U.D. a robot charged with growing a special plant to harvest special star seeds from it. In order to do so, you need to ride and attach its stalks to nutrient filled floating islands to grow the plant. The main form of gameplay here is climbing; using the left and right trigger to control B.U.D.’s arms allows you to grab and pull yourself around. The system is procedural and allows you to manipulate B.U.D. all around objects. 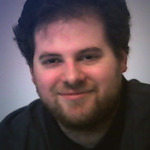 What’s interesting is the root system and how it creates a procedural element to the gameplay. The plant has stalks all over and once you get on one to ride it, the stalk takes off in the direction that you control, while sprouting new stalks and paths for you to climb up. Because you control the stalks’ trajectory, the plant’s growth pattern and path will be completely unique for everybody. 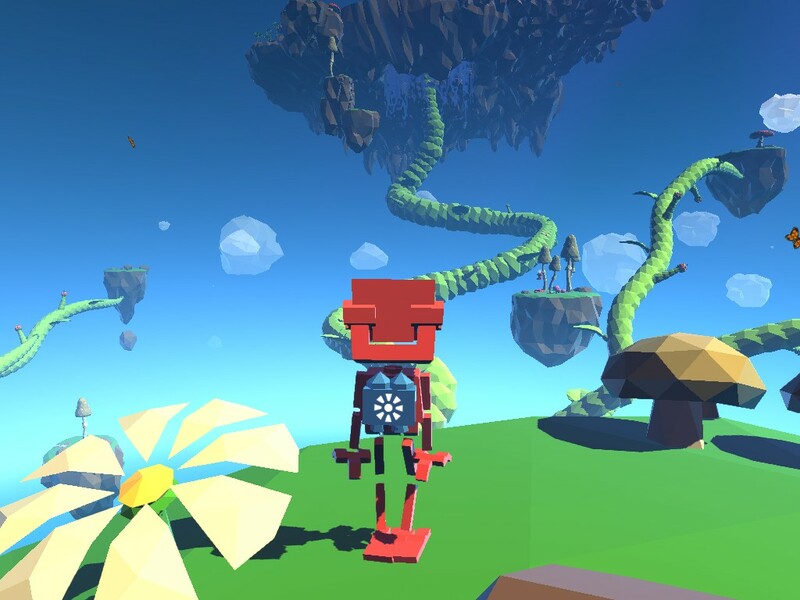 As you’re making your ascent, Grow Home has several side quests to help flesh out the world and reward players for stopping to smell the roses… in a manner of speaking. 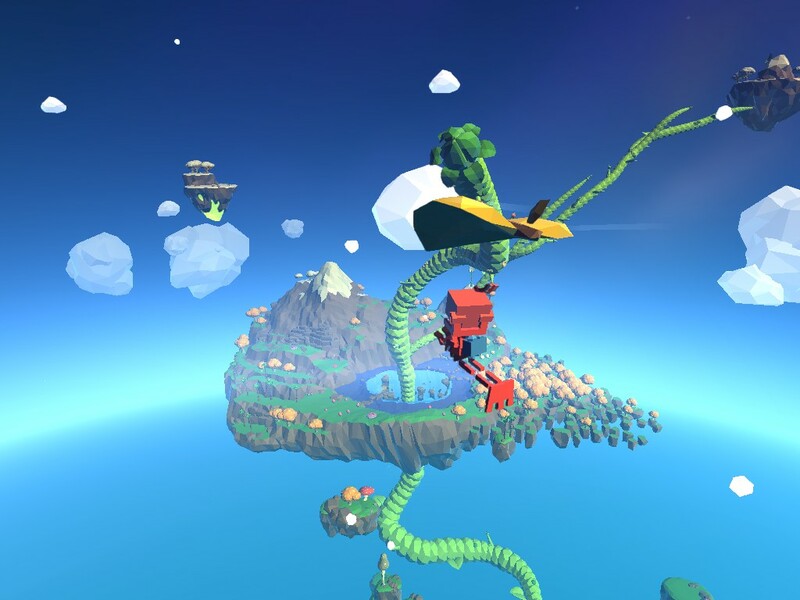 The world of Grow Home is full of things for you to collect. The first and most prominent are crystals that are stuck all over the place. By collecting enough crystals, you’ll improve your jumping ability and even get a mini jetpack to help you out. Local fauna and flora can be scanned via teleportation areas and recorded in the data log. The entire world despite being vertical has a lot of secret caves and areas to find. While the main game is only a few hours long, finding everything will take some time. Overall there isn’t much for me to complain about in terms of design. The camera can get stuck on B.U.D. or the environment in a few areas and the procedural motion of your arms sometimes is off, but that’s not horrible. If you’re expecting some depth or growth to the mechanics, there really isn’t anything beyond what you’re doing during the first 30 minutes of play. I would love for the developers to continue with this concept, as the game reminds me of the Chibi Robo series for a way to relax doing simple tasks. This may be a short review for a short game, but Grow Home is a delight that anyone can enjoy. For more on Grow Home, here is a brief spotlight video I did on it.